Benefits of Indoor Bike Trainer - Lose Weight by Bike Trainer! I always wanted to know which exercise gives the best bang for any weight-loss regimen. A cardiovascular exercise which would do two things namely – give you the highest expenditure of energy, and secondly, have the least impact on your knees ankles and thighs. One which would not tire you out quickly, while you get a maximum burn from each rep.
Well, now I know which one. I can confidently tell you that indoor cycling using the indoor bike trainer gives you both of these great features. Personal experience may lead me to tell you this fact, but don’t take my word for it, see what the American Council on exercise has to say below. The American Council on exercise agrees that indoor cycling is an excellent option in both areas. Indoor cycling gives you the highest expenditure of energy with very little impact on your thighs, knees, and ankles. With a little bit of knowledge, you can make indoor cycling your most exciting and challenging exercise. You will be able to increase your mental endurance. Yes, I know that riding in one spot for 45 minutes more be monotonous, but it actually helps you focus on the task at hand. You are more focused on timing, breathing, control, pain and everything which comes with cycling. Compare this to outdoor cycling where you are concerned with safety, enjoying the scenery or simply chatting with a friend. Indoors, you are more focused on your sports psychology techniques and you can actually control your breathing pattern better in order to reduce tiredness. Do you want the best results for your workout? Then you must try the indoor bike trainer. Even people recovering from orthopedic injuries are put on the indoor bike trainer as part of their recovery workout. If you live in any country in the world which does not have good weather all year round, you need not worry anymore. 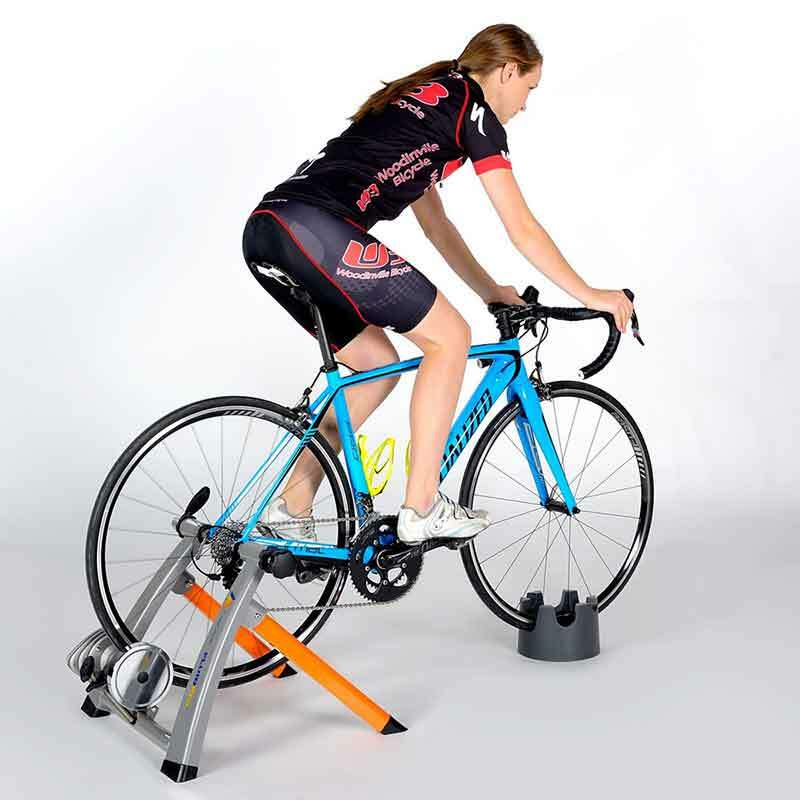 With the indoor bike trainer, you have wonderful weather all year round. Now it’s time to strike bad weather off the list of excuses for not being able to exercise. So now you don’t need to pack supplies on your way to the gym. No need to get the flat tire supplies or the rain jacket for the weather. Riding indoors means there are fewer reasons to stop mid-training. More importantly, there is no coasting, so you get to use full value for your time. I agree with the submission that 2 hours on the indoor bike trainer is worth 3.5 hours of outdoor bike training. To achieve the ACSM recommended cardiovascular workout, you only need a moderate intensity workout on the indoor bike trainer for 30-60 minutes five times a week. The bike exercise can help keep your heart rate within a vigorous range for over 40 minutes and less than 60 minutes. This will help you reduce the risk of developing coronary artery disease. Some areas really do not have many flat roads so outdoor biking may not help you achieve the necessary momentum. With the indoor bike trainer, you get to enjoy flat roads all training long. You can also compare to most other fitness workout equipment, the indoor bike trainer takes up a lot less space. With these benefits, you simply must try out the indoor bike trainer. You will get the best cardiovascular results with a focused regimen. It gives you a better result than the outdoor cycling. So anyway, If you are an adult and want to stay fit then you can try to use a stationary bike for seniors that help you to stay fit. Compared to other exercises, you are going to work more on your thighs, calves, hips, and legs in combination with the cardiovascular gains. Go ahead, get cycling on the indoor bike trainer. If you need more information then you can out the Skinny Yoked’s list of home gym essentials. This checklist will help you find the best home gym accessories!